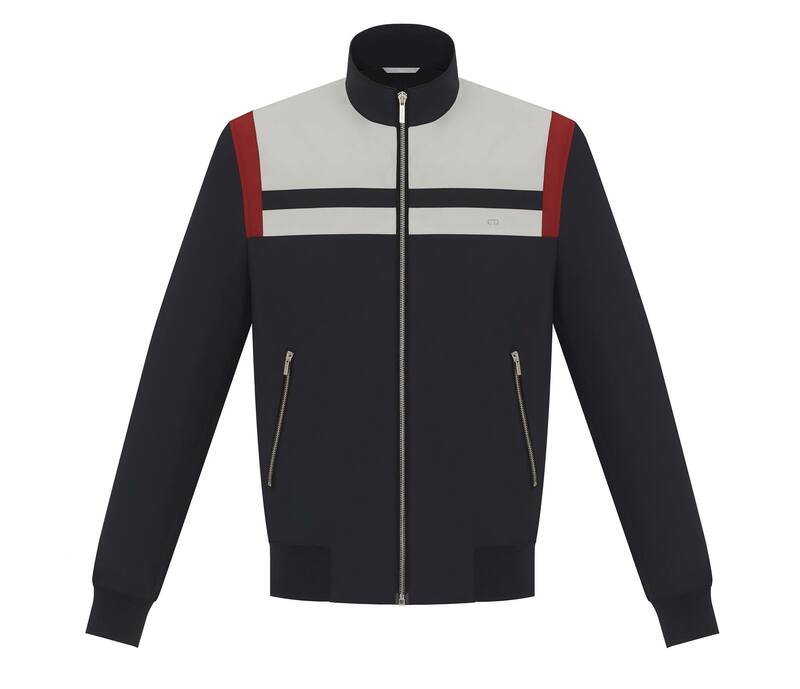 Dior Homme Spring 2016: Les Essentials #1 – Sportswear. 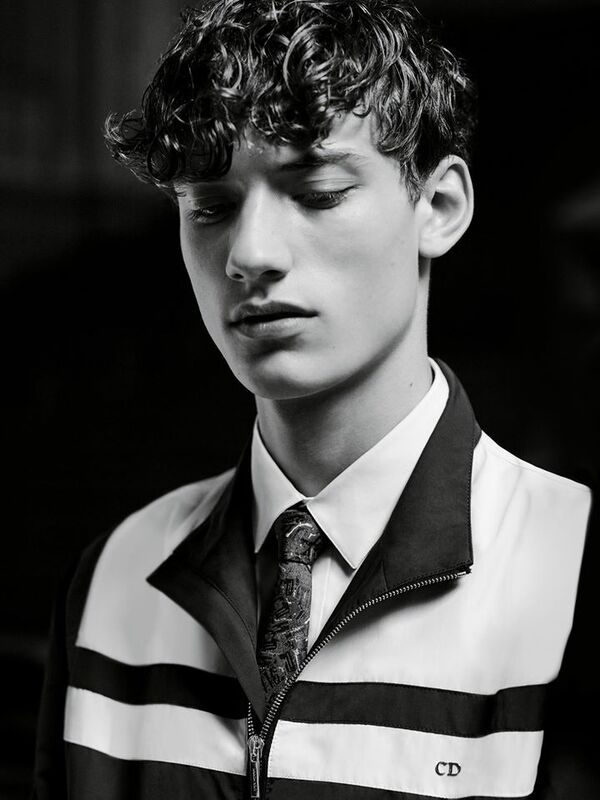 For the Spring 2016 collection, Dior Homme revisits sportswear essentials with pieces featuring tailored construction that provides a sartorial allure. 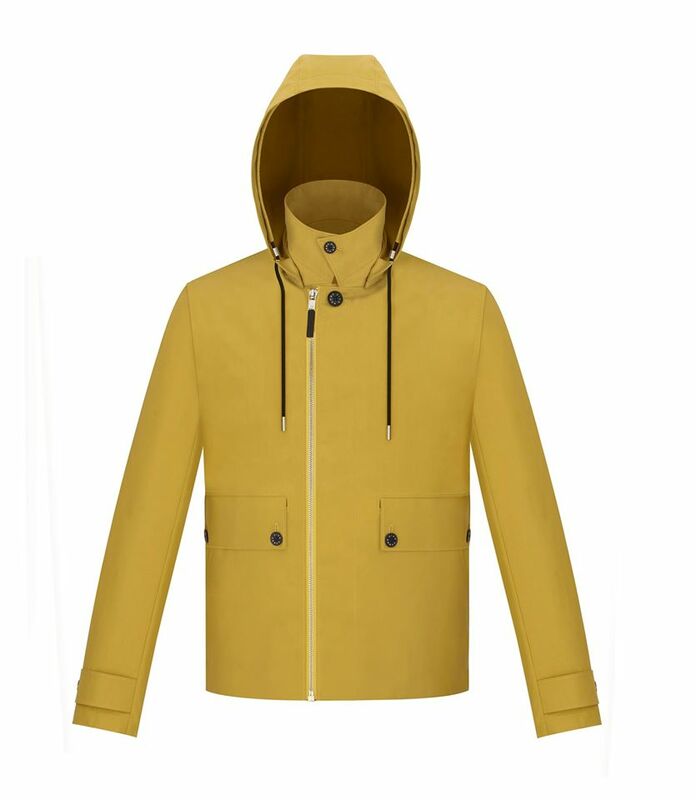 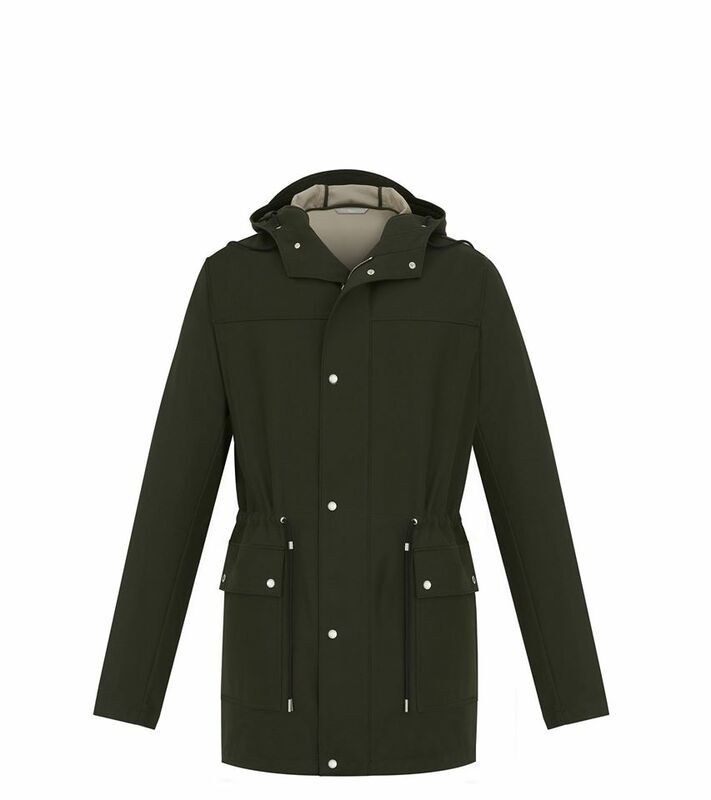 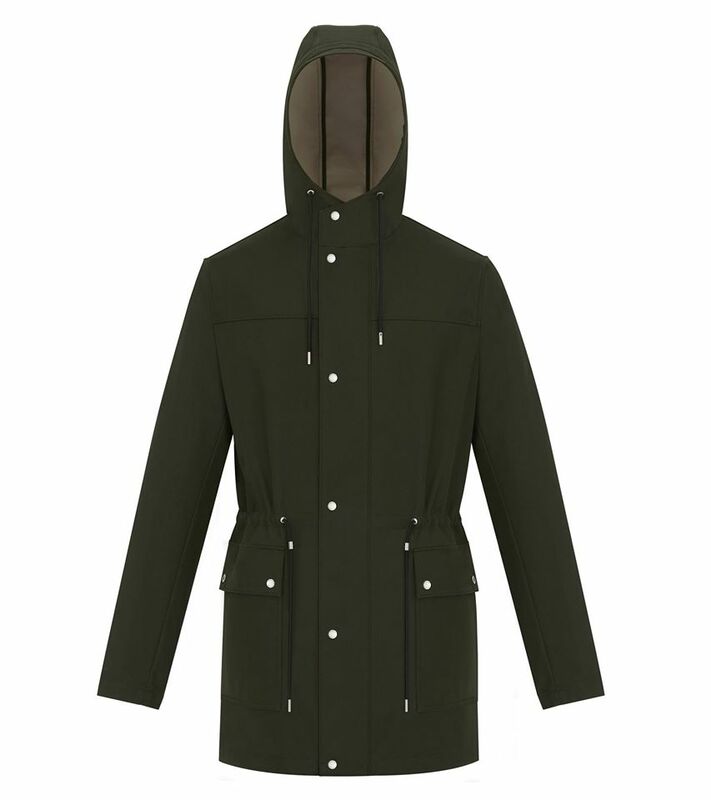 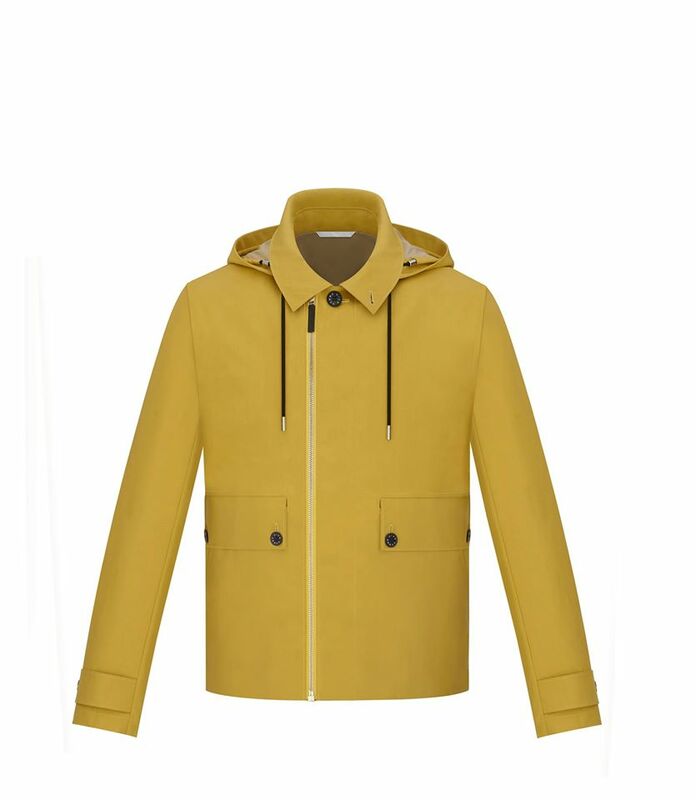 The blouson is a key anchor piece of the collection, whether in navy blue, crimson and stone-coloured nylon, or in a hooded version in yellow and beige bonded cotton canvas. 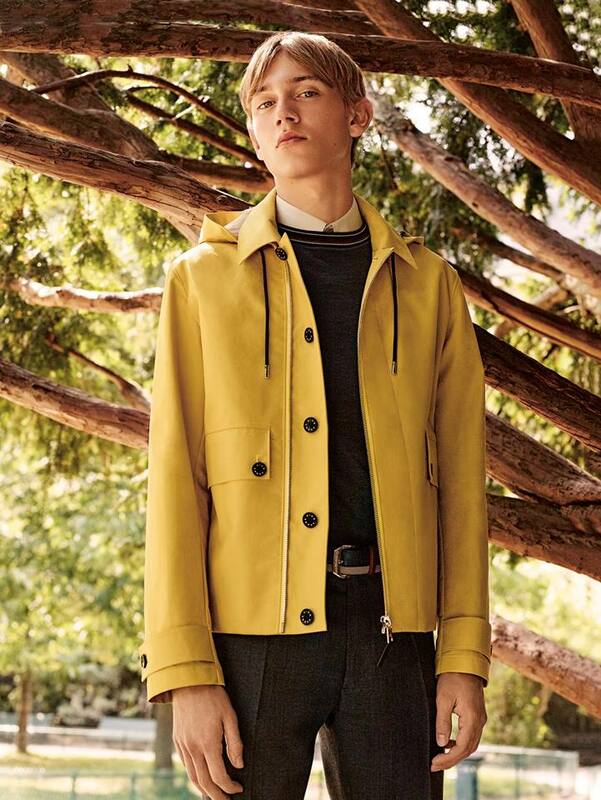 It corresponds equally with the tradition of a straight pant in cool wool and the modernity of a virgin wool jersey knit or a stone-coloured cotton poplin shirt.